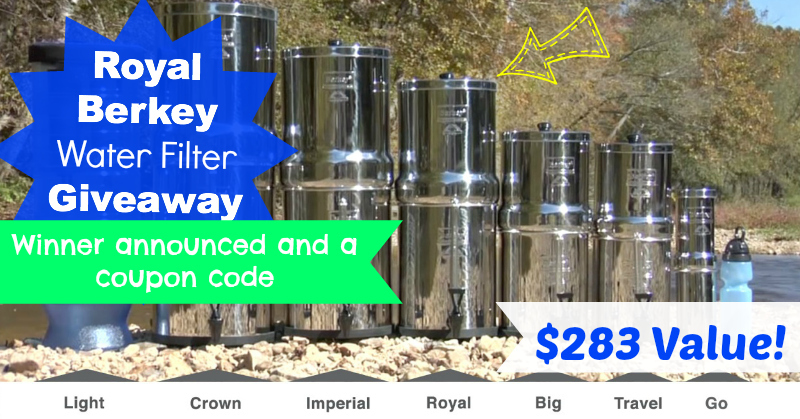 This month I had the privilege of giving away a Royal Berkey Water Filter to one lucky reader! You drink water every day and use it for everything from making coffee to cooking dinner, but do you really know what’s in your water? If you aren’t familiar with a Berkey Water Filter, the water purification elements that come standard with the Big Berkey have the ability to purify both treated water and untreated raw water from sources such as wells, lakes, streams, and stagnant ponds. I love that the Royal Berkey is portable and easy to take with you. You can use coupon code giveaway2014 to get 5% off all Berkey ceramic systems plus free shipping over $50 to contiguous 48 states! Offer valid through 3/7/14. Don’t miss out on your chance to save!